Weathered by the sea and sand, a mold was made of this shell found at the beach. 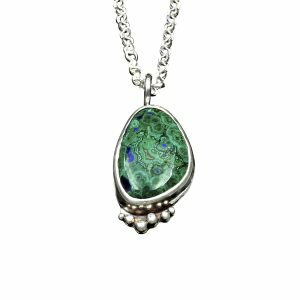 This rustic pendant is created in fine silver precious metal clay. The mold that I make from each of these shells is never used again so that each piece will be one of a kind. 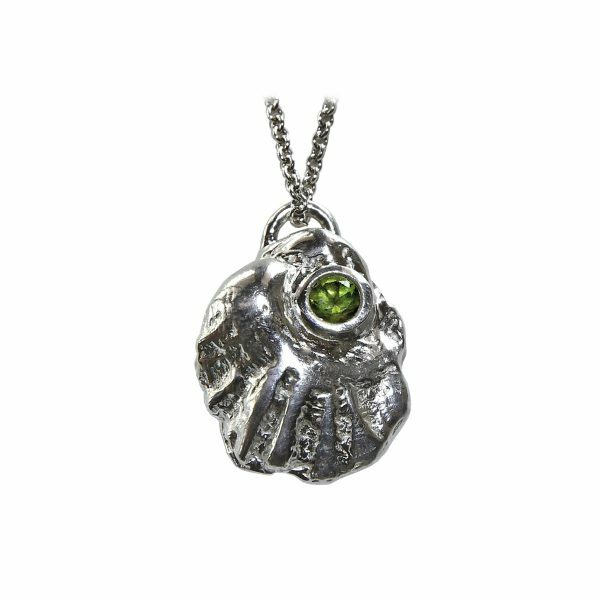 The green Peridot reminds me of the sea-moss-covered rocks on Rincon Parkway beach in Ventura, California, where we spent many weekends camping next to the beach and which inspires so many of my designs. 5/8″ wide by 1″ long. A sterling silver chain is included in your purchase.